So you want to know how to pick a the best smart security camera? I’ll go over some of the considerations that you may want to figure in before making this purchase. It’s not an exact science. But I can tell you what I have learned after installing and using several different smart home security cameras. The best smart home security cameras that I have tried are the Blink XT cameras. Ironically Blink was just purchased by Amazon last year for 90 Million dollars! I’ll get into Blink a little more in a minute, just keep reading. Why A Smart Home Security Camera? Looking back over the last decade smart home security cameras weren’t really a big thing up until the last year or so. Most of us were used to having wires all over the place but it doesn’t mean we were “ok” with it. While smart security cameras have changed the game. Wireless smart security cameras have changed the game by leaps and bounds! With the innovation of the IoT world, a lot of things have changed. Smart cameras are everywhere now and they come in all different shapes and sizes. You can now have a more professional looking type of camera right outside your garage, in the baby’s room or even attach it to a tree that is away from your house. There are even smaller pinhole type cameras that you can install nearly anywhere to “catch someone in the act”. Some people like to have these new pieces of technology just to check in on their pets while they are at work from time to time. You might catch them playing cards or hosting a rave, you never know! This solely depends on what you are concerned with and what you would like to make sure you catch on video. Depending on your needs, you will need to look at where you can actually install the cameras as well. If you are concerned about a particular door in your house you will need to consider whether you want to monitor the outside or the inside. 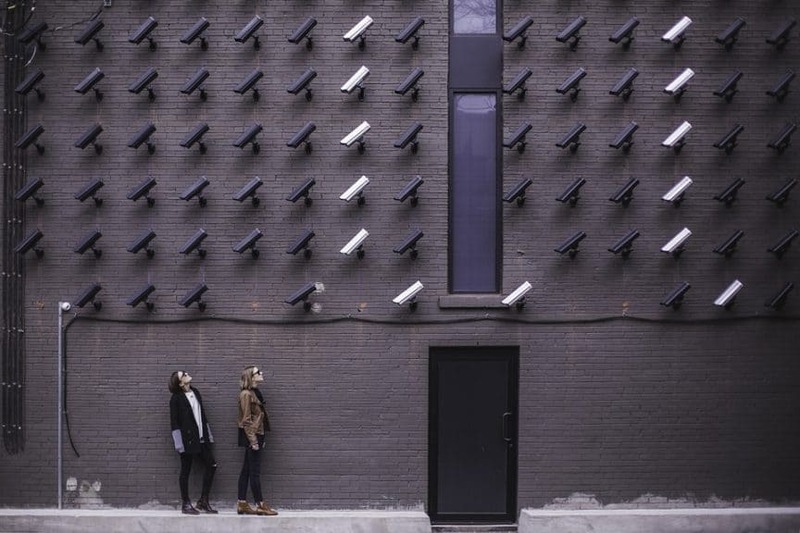 If you live in an apartment, then you will definitely want to check out my article titled best smart security camera for an apartment as well. Personally, if I am concerned about an intruder making their way into my house. I am more concerned with the outside so I can catch them before they even get into my abode. However, you may be the type of person who actually wants to catch them red-handed. If that’s the case then you will want to consider indoor cameras. Either way, you are going to need a good camera, not some off the rack piece of junk. Everyone has a particular level of quality they expect from their wireless smart security camera. I personally have high expectations and don’t like to settle when it comes to this. I’d like to actually see the burglars face when he tries to come on to my property. While most any good smart security camera these days will have a minimum video quality of 720P. The quality of the Blink may be 720 but the fisheye lens provides ample coverage without the rounding hyper-distortion. Check out this video of a visitor I caught in my backyard at 2 in the morning. Apparently, the party don’t stop! You will definitely want to look at what the mounts are like that come with the camera you are purchasing. I have seen some cameras that simply come with a back wall plate. Which is just not functional for most people. I know that if I can’t actually aim the camera where I want to then nothing else matters and I just wasted my time and money. Believe me, don’t make that same mistake. You’ll be angry and you’ll have no one to blame but yourself. What About Weather and Climate? I used to work for the local cable company selling home security and automation. One of the biggest problems we had with the security cameras we would install was cold weather. We found that people were paying over $100 per camera just to have them freeze up. So if you are using outdoor cameras, then you will definitely want to consider the Blink XT or Arlo Pro cameras. They are rated to handle colder temperatures and I have seen many other types of outdoor cameras that just can’t handle the colder temperatures. Typically they just freeze right up. The best part about these cameras is that you can literally pour water right on the thing and it doesn’t get in anywhere. They are as weatherproof as it gets! Mine have withstood snow, cold, rain and winds of up to 60 miles per hour where the temperature with the wind chill was less than -20 degrees Fahrenheit! I swear they built these things military-grade tough! I actually wrote an article just about smart cold weather security cameras as well. If you are going to go with a wireless security camera. I would suggest that you study what the average battery life of the system that you are considering. Typically with the Blink XT cameras, I have they will run a year at least before they die. That’s in the extremely cold temperatures of Northern New England during the winter. On the other hand, the Arlo Pro cameras only lasted about 2 months before they needed to be changed. Arlo Pro Cameras are approximately $100 more than the Blink XT cameras. Which puts them in the$200 range. But there’s good news! No one wants to cheap out completely. But you also don’t want to spend more than you need to. If you are seriously on a strict budget and can’t afford $100, then this will be over your budget. However, if you want to actually secure your home and not have to worry about it. I highly suggest the Blink XT cameras, you can check out their current price over here on Amazon. Anyone who visits my blog regularly knows that I am a huge fan of the Blink cameras in general and I really don’t recommend anything else for a smart security camera. They do offer an indoor option as well which you can find over here on Amazon. Although the quality is not that of the Blink XT outdoor cameras (which I recommend for indoor use as well). You can easily spend your hard earned money on other smart security cameras. There is a lot to choose from. Personally, I’m sick and tired of the wires and these newer wireless cameras are just incredible. You can place them practically anywhere. They are waterproof, they withstand cold, and just about anything else mother nature throws at them. After trying out several cameras, I’ve decided to stick with my Blink XT as they are the biggest bang for the buck. It’s up to you to decide in the end what is best for your particular situation.